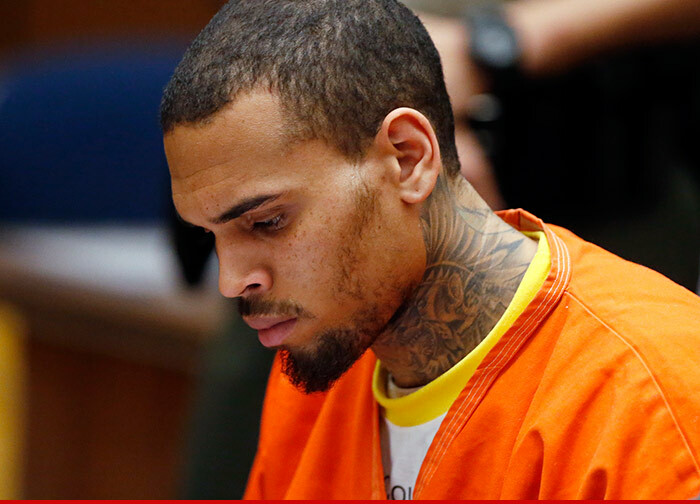 Chris Brown -- Con Air to D.C. ... Now Boarding! Chris Brown has just been picked up by federal marshals on what will be one of the longest journeys across the country since the prop plane era ... TMZ has learned. Sources connected with the case tell us Chris is on his way to a federal holding facility in San Bernardino to begin his long trip to Washington D.C. ... where he will stand trial for assault. Later today Chris will board a airplane -- guarded by U.S. Marshals and appropriately restrained -- but the flight is NOT a non-stop. In fact, we're told there are so many stops he probably won't get there until Sunday. We're told all of these flights go through Oklahoma, with stops along the way to pick up other prisoners. Chris will be in D.C. for a hearing Monday where his lawyer, Mark Geragos, will try to get the charges dismissed because he believes prosecutors inappropriately used the grand jury to gain an unfair advantage in the criminal case. Now here's the thing. If Geragos loses, Chris will sit in a D.C. jail facility until his D.C. trial kicks off on April 17.